Imagicle sponsor at Cisco Live EMEA 2018. Start the year off on the right foot and meet us at Cisco Live EMEA taking place next week in Barcelona. We'll be waiting for you at booth WEP18 to showcase the must-have apps included in our Imagicle ApplicationSuite and the latest news as Imagicle Attendant Console now available for Mac users and Imagicle Call Recording designed to fullfil the requirements of MiFID II, GDPR and PCI-DSS regulations and much more. See you in Barcelona! Join us in Barcelona to start the year on the right foot! 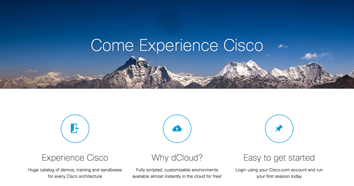 The dedicated Cisco Partner Portal which offers the easiest way to show Imagicle apps to your customers in a customizable environment with all the info to make a winning demo. 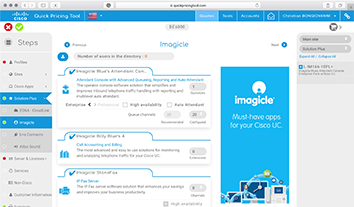 Imagicle products are also available on the Cisco Quick Pricing Tool which will help you to quickly generate a bill of materials and estimate pricing of Imagicle applications.